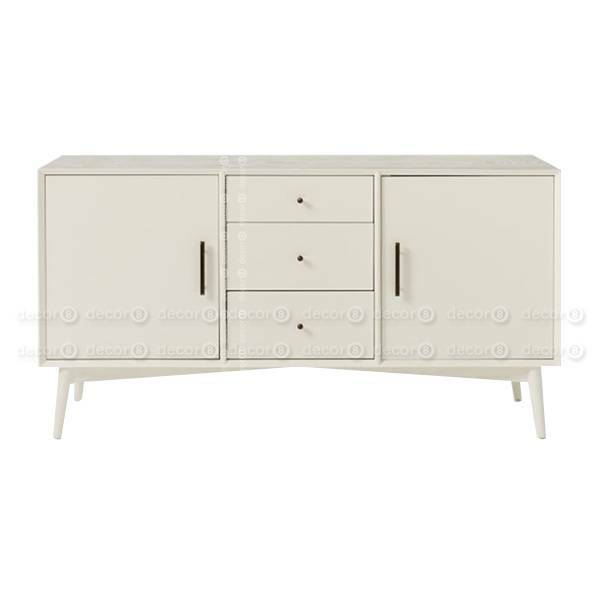 The Percy White Sideboard Cabinet is a modern design grand sideboard cabinet perfect for contemporary interiors. This white sideboard buffet looks great in luxury interiors. This mid-century modern style sideboard cabinet is suitable for modern living rooms with clean interior designs. 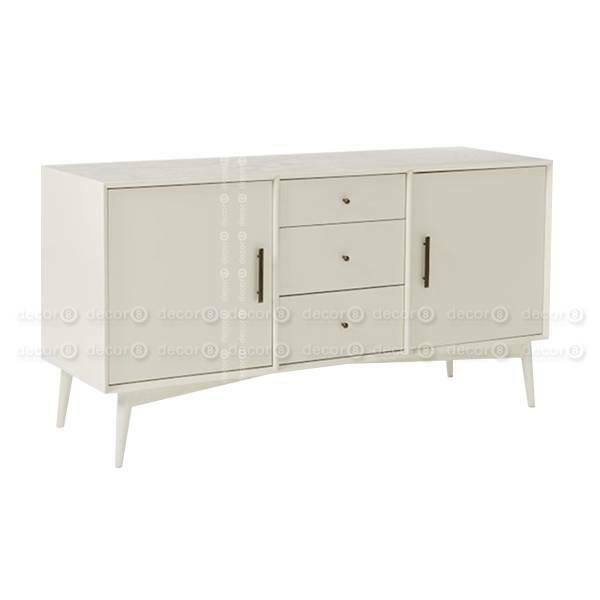 This white buffet cabinet is an eye catching piece of modern furniture for luxury interiors. The hardware is made of antique brass metal. 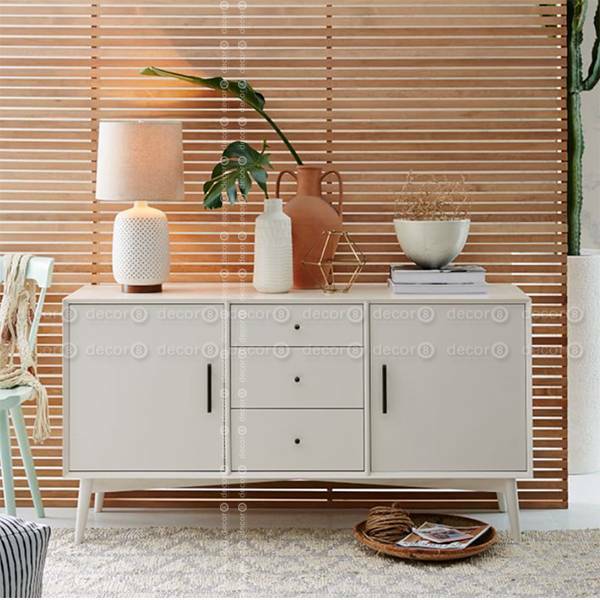 Looks great with white furniture.The Percy White Sideboard Cabinet is an elegant sideboard storage unit that looks great in any modern home.